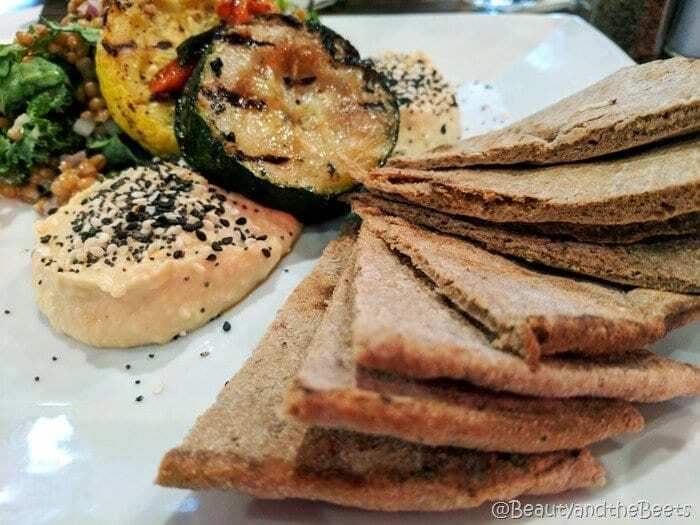 Years ago when I lived in Philadelphia, Manayunk was one of my favorite neighborhoods, and a place called LeBus was the place you went for baked goods, coffee, and a delicious lunch. 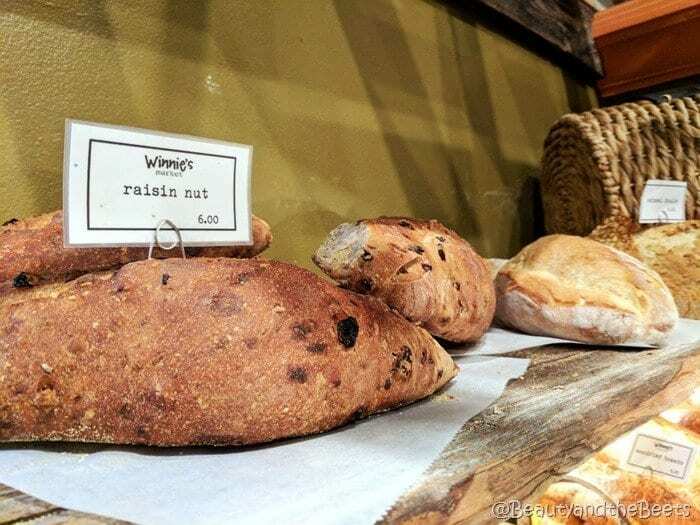 In 2003, restaurant veteran Winnie Clowry and her husband Bob bought LeBus and changed the name to Winnie’s Manayunk, but they kept the great tradition of a bakery in the neighborhood. And the best part about Winnie’s? Brunch is served EVERYDAY until 3pm. Why doesn’t everyone serve brunch on other days than Saturday and Sunday? 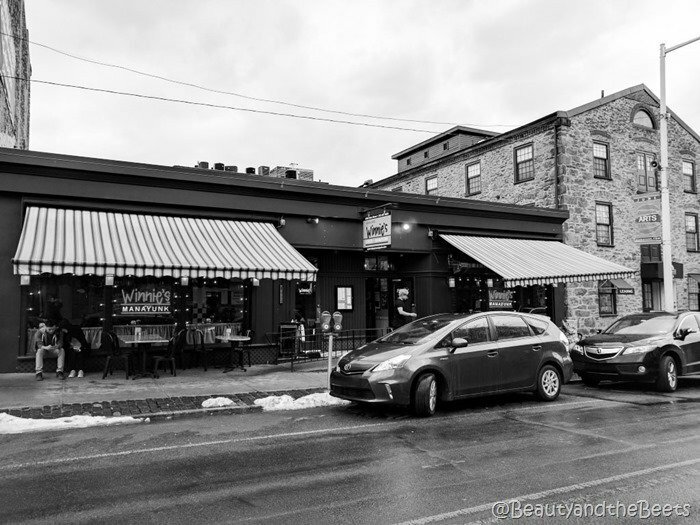 I took a recent trip to Philly and decided to stop into my old stomping grounds, and I loved Winnie’s Manayunk just as much as I had loved LeBus before. 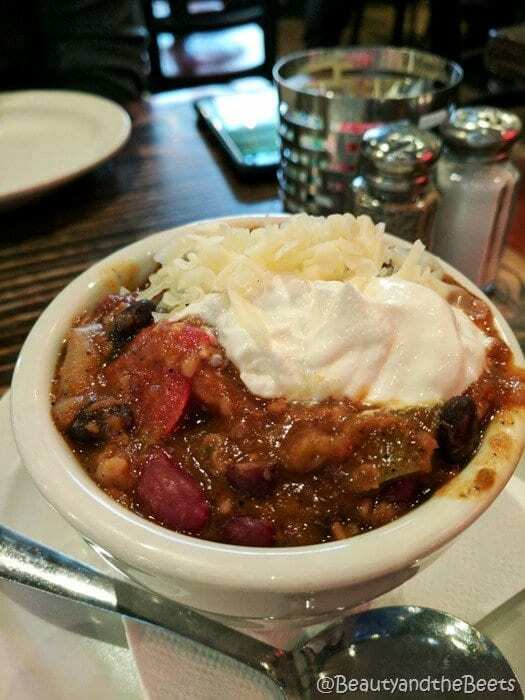 I started with the Vegetarian Chili, a Winnie’s Manayunk staple. So many vegetables in a tomato broth, perfect with the fresh baked bread basket, standard at any table. Mr. Beet, my travel companion, ordered the Salmon Burger. 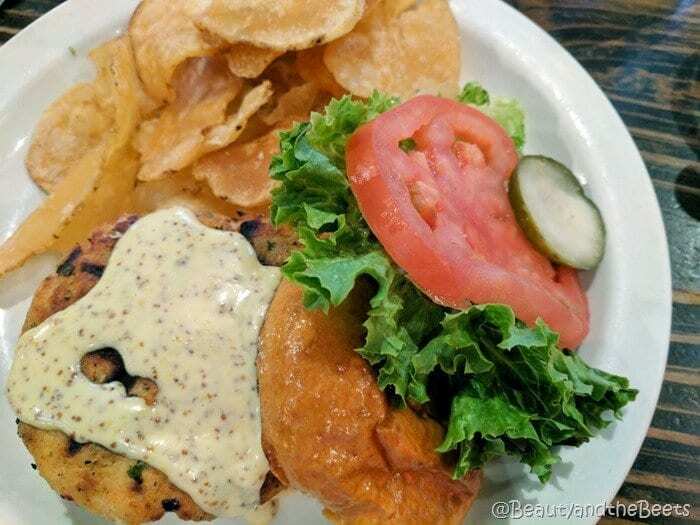 The burger is made in house, and served with wasabi cream, pickled ginger,scallions, and sriracha sauce. Served alongside a batch of homemade chips, Mr. Beet loved his meal. I tried the Quinoa and Arugula Salad with edamame, chick peas, white corn, grape tomatoes, raisins, arugula, and grilled vegetables with a lemon vinaigrette. 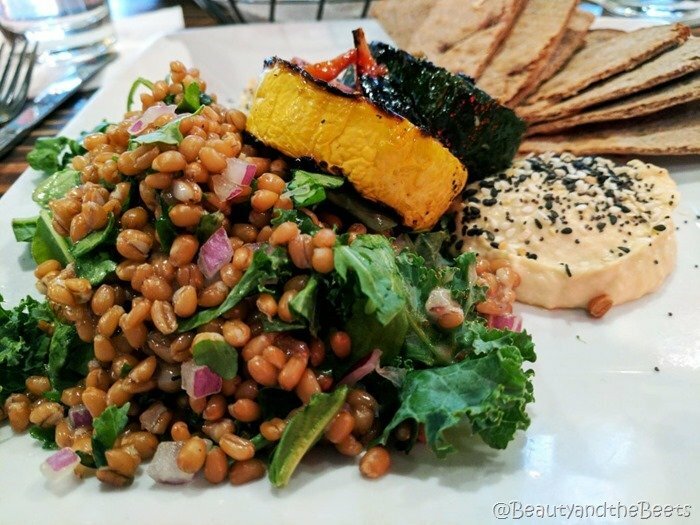 The salad was hearty and filling, a perfect choice for an afternoon bruncheon. 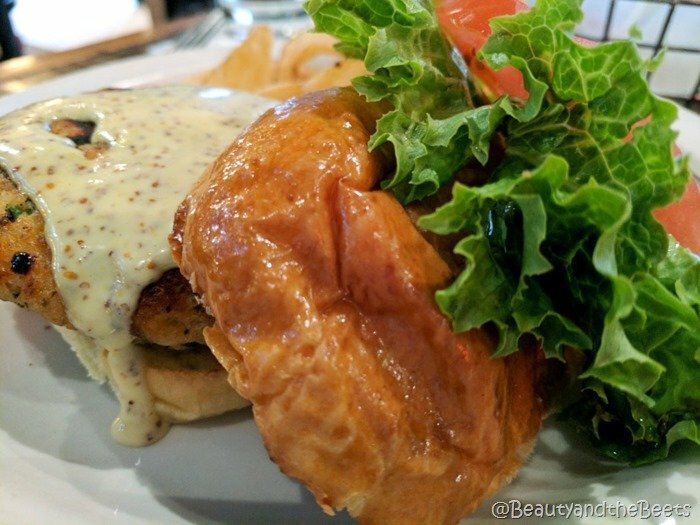 Other items include Avocado Toast, Huevos Rancheros, Chicken and Waffles, and Creme Brulee French Toast for Brunch and Truffle Sprouts, Scallops,Meatloaf, and Pasta Puttenesca round out the dinner menu. And don’t forget the fresh bakery bread. There is also a specialized bar menu for Happy hour along with some amazing drink specials. And did I mention Brunch is served EVERYDAY until 3pm? 4.5 out of 5 sprouts.